George Ledyard, direct student of Mitsugi Saotome Sensei and William Gleason, student of Yamaguchi Seigo, co-taught this seminar at the Aikido Eastside Dojo in Bellevue, WA. 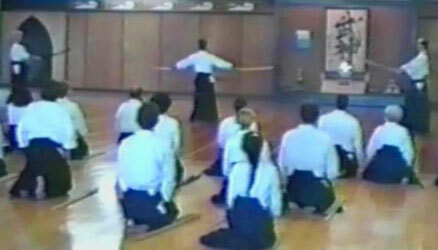 The focus of the seminar was the principles of aiki and internal power in Aikido. 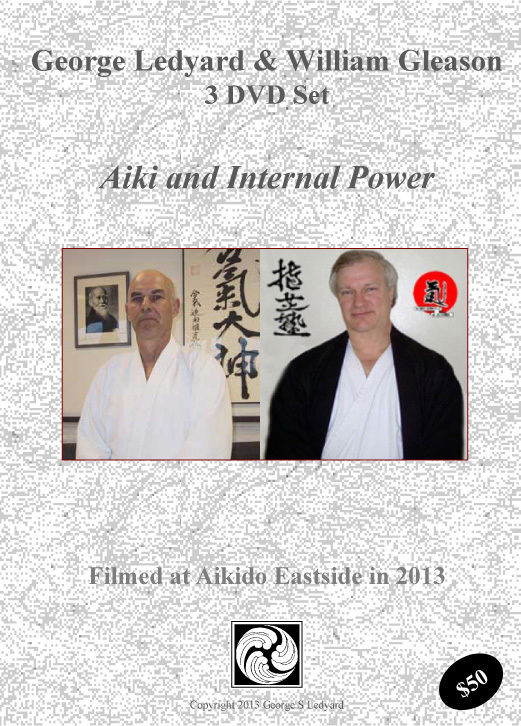 This is a three Aikido DVD set offering over five hours of some of the most detailed, body centered instruction available. These two teachers are traveling internationally conducting seminars. This is an opportunity to experience some of the most sophisticated Aikido instruction anywhere. 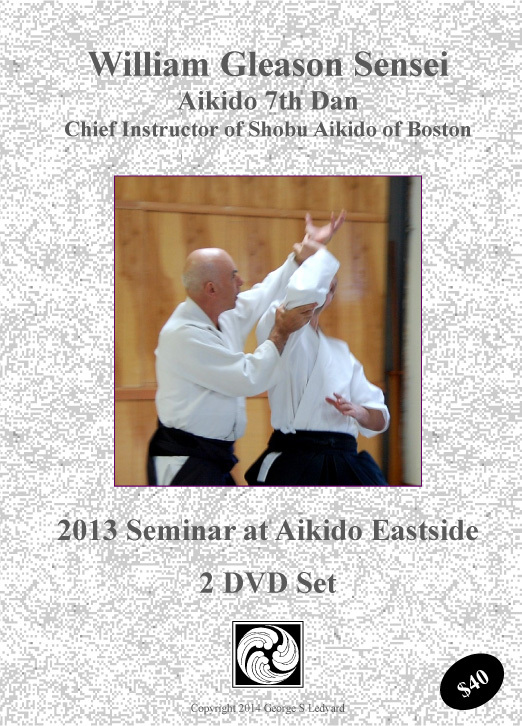 These Aikido DVDs are now available in two formats as Aikido video downloads. A very large ISO file which allows you to burn your own copy of the DVD and a much smaller .mp4 or .m2ts file formatted for viewing on a portable device. 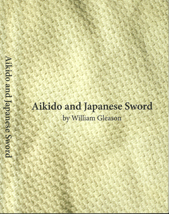 of Aikido Eastside, allows us to go to the encyclopedia of Aiki. this is a must view….again and again.